READING, Pa. (Oct. 31, 2012) – EnerSys®, manufacturer of the ODYSSEY®battery, today unveiled its new ODYSSEY® Performance Series™ line of batteries during a press conference at the 2012 SEMA Show at booth 24967 in Central Hall at the Las Vegas Convention Center. Designed with the same rugged construction as ODYSSEY® Extreme Series™ batteries, the new ODYSSEY® Performance Series™ batteries offer equivalent deep cycling capabilities, long service life and high reliability. ODYSSEY®Performance Series™ batteries are designed specifically for consumer applications, which do not require as many cold cranking amps (CCA) and reserve capacity (RC) minutes as ODYSSEY® Extreme Series™ batteries. However, they deliver more deep cycling capabilities for parasitic loads than conventional batteries. 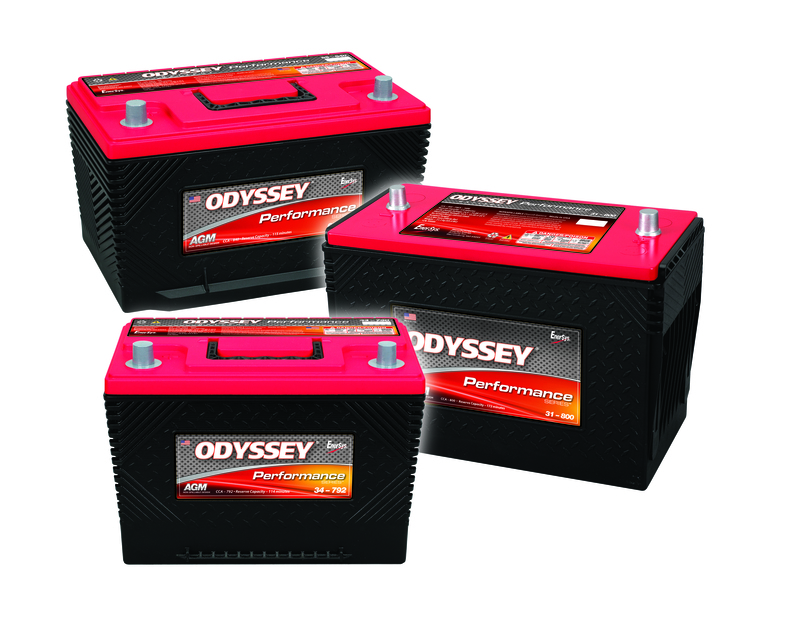 ODYSSEY® Performance Series™ batteries are constructed of a market accepted polypropylene case and cover that resists oil, cleaners and gasoline, in the same black and orange color as the ODYSSEY®Extreme Series™ batteries. ODYSSEY® Performance Series™ batteries correspond to Battery Council International (BCI) Group 75/86 (ODYSSEY® 75/86-705 battery), Group 48 (ODYSSEY® 48-775 battery), Group 34 (ODYSSEY® 34-790 battery), Group 78 (ODYSSEY® 78-790 battery), Group 65 (ODYSSEY® 65-840 battery) and Group 31 (ODYSSEY® 31-800 battery). For more information about the new ODYSSEY® Performance Series™ batteries, visitwww.odysseybattery.com.